Muslims all over the world will celebrate Eid –Ul- Azha festival on August 22. According to the Islamic tradition, there are two festivals observed by Muslims every year: ‘Eid-ul-Fitr’ and ‘Eid - ul – Azha’. ‘Eid - ul – Fitr’ is celebrated at the end of the month of Ramazan just after completing a month of continuous fasting and ‘Eid - ul – Azha’ is observed in the month of Haj. Ramazan and Dhul Hajj are the Arabic names of the months in the Muslim calendar. Eid - ul - Azha or Haj festival, also known as the ‘Festival of Sacrifice’ is celebrated in the month of Dhul-Haj. The festival remembers when Almighty Allah (SWT) tested the faith of the Prophet Ibrahim (PBUH) ordering him to sacrifice his only son Ismail (PBUH) as an act of obedience. Just as Ibrahim (PBUH) was about to sacrifice his son, Allah (SWT) stopped him and gave him a sheep through angel Gibrael (PBUH) to sacrifice instead. A version of this story also in the Holy Bible (Old Testament), where Ibrahim (PBUH) is known as Abraham. Basically, both festivals are commonly known as ‘Eid’ among other communities. Eid usually starts with Muslims going to the mosque for prayers, dressed in their best clothes, and praised for Almighty Allah (SWT) for all the blessings they have received. And then it is also a time they visit family and friends as well as meet their neighbours whether they are Muslims or non-Muslims to exchange good wishes and spending some time with them sharing happiness offering with meals and sweets. Eid is a Muslim festival. But, Muslims like to share Eid with other communities live in a society and in a neighbourhood. Therefore, Eid has a social connotation to build a close relationship with the communities in other faiths. Sri Lanka is a multicultural and multi-religious country in the region. Therefore, Muslims meet not only the people in their faith, also the neighbours of other denominations with their colleagues at work or in business to share Eid celebrations bonding each other without any religious and cultural barriers. This is what we need in Sri Lanka to make harmony among the communities. Muslims invite their neighbours and friends to spend some time with them. In this sense, Eid promotes social harmony with other communities. So it is a time to share the happiness of Eid with people of other religions meeting them and sharing the luscious food and sweets. Holy Qur’an teaches us how to treat the people of other faiths with dignity and how to respect other religions and the neighbours no matter whether they are Muslims or Non-Muslims. There are lots of examples and authentic incidents from the life of Prophet Muhammad (PBUH) and his teachings on social and communal harmony to respect other religions and faiths with dignity. The Prophet Muhammad said, “You are not a believer until you love for your brother what you love for yourself” (Sahih Bukahri). In his voluminous commentary, Shihab Al –Deen Qastallani (d.851H) writes that the word ‘brother’ is inclusive of non-Muslims as well as Muslims. According to Prophet Muhammad’s teaching, he said: “show mercy towards all on this earth, the one who is above the heavens will bestow mercy on you” (Shih Bukhari). Therefore, the Holy Quran describes Prophet Muhammad (PBUH) as “a source of mercy to all creation” (21:108). It’s a celebration that should plant in our heart the spirit of sharing and caring about the people in other societies as well. It’s a festival to celebrate with the whole community regardless of faith and also to come together and celebrate the fabric of humanity. Happiness, harmony and respect for all. To encourage cohesion. 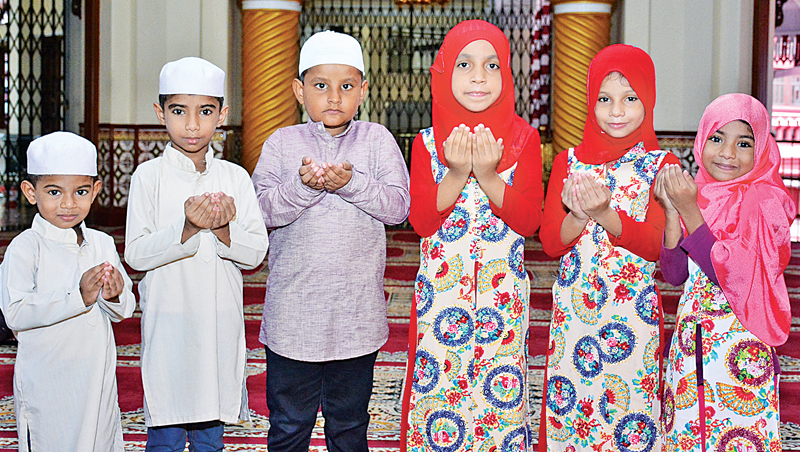 Eid celebrations give the Muslims an opportunity to bond with each other, share happiness, make memories and most importantly make communal harmony when living in a vibrant multicultural society like Sri Lanka.